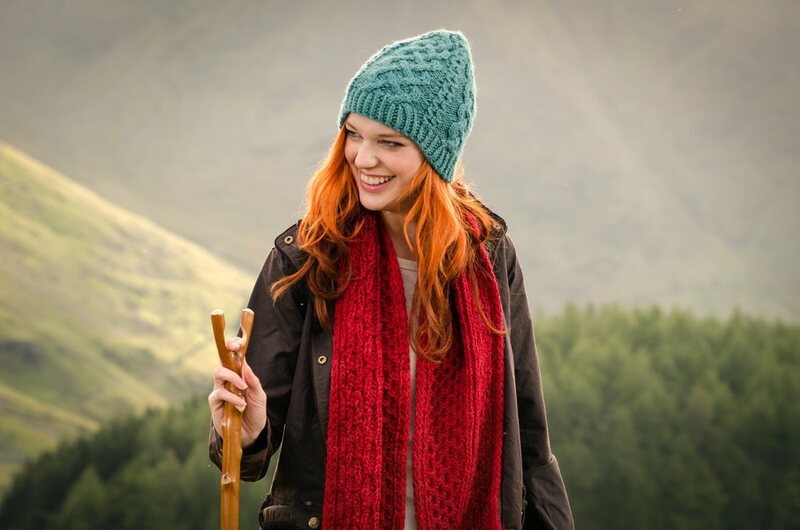 Cables all around make this chunky toque a fun and interesting knit! Worked in The Fibre Company’s luxe Tundra yarn, this hat features tons of interest in the large cable panels borders by single honeycomb cable columns. Crown decreases are worked into the large cable panels. small (medium, large), actual finished circumference of 17.5 (19, 20.5)”/44.5 (48.5, 52) cm. The Fibre Company Tundra, shown in Boreal, 2 hanks for all sizes. US 9/5.5 mm circular or double pointed needles, as preferred. 20.25 stitches and 19.25 rounds over 4”/10 cm in cable pattern.